Figured I should blog about this before it's gone. If memory serves me, Rouge Coco Baroque was introduced as an online exclusive to celebrate the release of the (then) new Rouge Coco formula. This dark brick red is such a good winter shade, it would be a waste to let the season go by without pulling it out for a spin. As Rouge Cocos go (awesomeness does vary from shade to shade), Baroque is one of the good ones. It stays put and fades evenly and I'm trying to be objective about this review but that color just absolutely slays me. Apparently I die for brick reds. Rouge Coco Baroque retails for $32.50 (price hike? sigh) at Chanel.com. Pretty color. I like that it contains a bit rustiness and not just bright, in-your-face red. Gorgeous! A perfect shade for you! Oh, dear. I have a weakness for brick reds too, even if I have to stay away from the ones that are too brown. 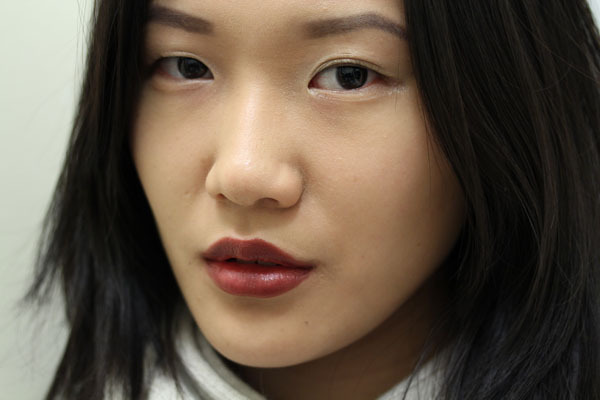 Have you tried NARS 413 Bleecker Pure Matte Lipstick? I absolutely love the shade. That is a gorgeous shade! !perfect for winter..I want that!!! That is absolutely beautiful on you.